Today’s blog post features a trio of scrumptious dessert wines from the Finger Lakes wine region in upstate New York. I can tell you from experience that well-made dessert wines are an excellent addition to the dinner table. They can be featured on their own, as the dessert itself, or paired with an agreeable dessert of your choice. 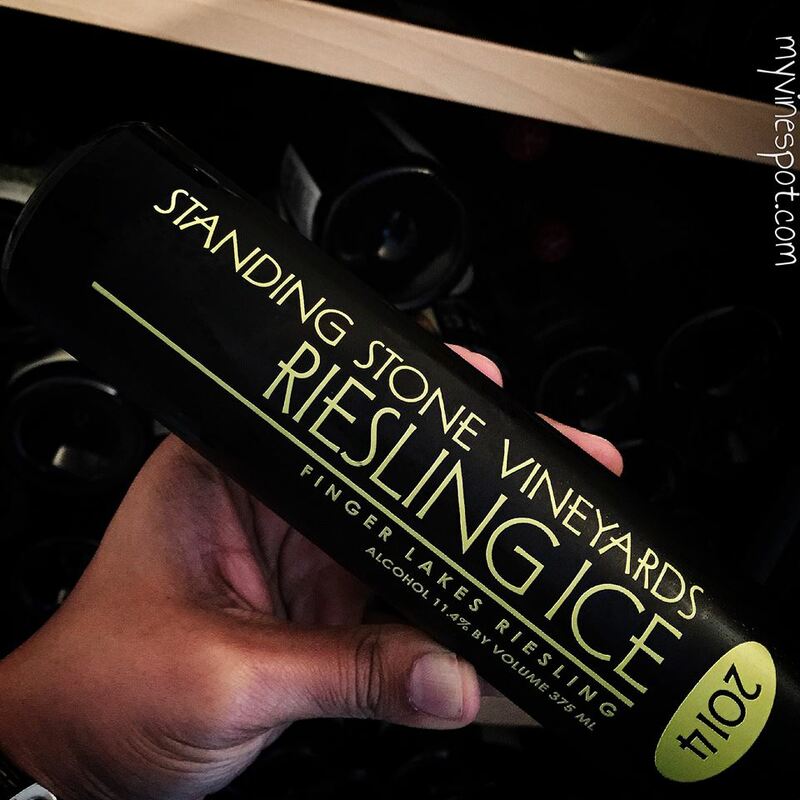 Ice wines are usually made from grapes that are naturally high in acidity (e.g., Riesling). This is in order to balance the higher residual sugar levels found in these delightful liquid treats. Without good balancing acidity, a dessert wine can come across as sickly sweet and too cloying; being a more suitable topping for pancakes or waffles than poured into cordial glasses and enjoyed post dinner with family and friends. A scrumptious dessert wine can be the perfect cap to an evening's end. Of the three wines featured, the selection from Thirsty Owl Wine Company can be regarded as a true ice wine while the remaining two are known as ice-styled wines. Ice-styled wines are basically late harvest grapes that are picked and frozen post-harvest and then pressed. True ice wines are late harvest grapes that are usually picked in the dead of night while frozen on the vine and pressed before they have thawed out. Ice wines, whether true or ice-styled, are typically housed in slender, attractive 375 ml bottles. Entry-level examples typically can be found for around $25. The price, whether you consider it expensive or not for a half-bottle, has a great deal to do with the fact that producers only get minute droplets of intense, concentrated juice out of each grape because much of the water in the berry is frozen. There are also risks involved with leaving ripening grapes on the vines longer such as hungry birds and deer, threat of disease, and weather events like heavy rains or hail. From personal experience, I generally find true ice wines to have greater depth, richness, and complexity than their counterpart. Having said that, what both styles of ice wine share is their ability to be an extremely satisfying and luscious end to a filling meal. For further information and where you can find these liquid gems, please see my tasting notes below. Thirsty Owl Wine Company 2013 Cabernet Sauvignon Ice Wine (SRP $39.95 / 375ml): This appealing liquid gem is produced from 100% estate-grown Cabernet Sauvignon; a grape variety you generally don’t associate with ice wine. The result is a richly sweet, yet balanced, concentrated wine with strawberry preserve, cranberry, and dried cherry flavors; topped with a light drizzle of honey for good measure. A few ounces served in cordial glasses makes for a most excellent after dinner sipper in place of dessert. 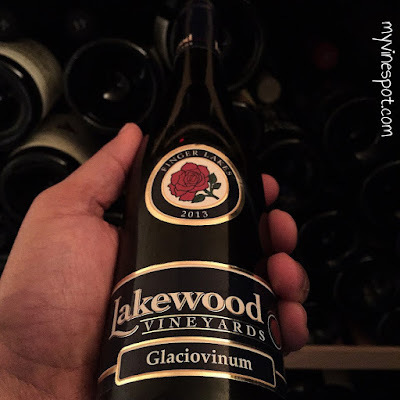 This very enjoyable sweet treat represents a true ice wine; made from picked berries that were naturally frozen on the vine and pressed before they thawed. Approximately 356 cases of this wine were produced. Region: Finger Lakes, New York. Other info: ABV 14%, RS 16.5%, cork enclosure. Click here to find this wine. Standing Stone Vineyards 2014 Riesling Ice (SRP $24.99 / 375ml): This dessert wine offers enticing aromas and flavors of dried apricots, baked pear, notes of marmalade, and hints of candied citrus fruit with an admirable balance of acidity; a honey-like sweetness; and texture on the palate. I enjoyed this wine on its own and with a tasty fruit tart. The producer recommends some interesting food pairings, which I’m eager to try, such as bacon, smoked meats, and dark chocolate. Bottom line: a delightful post-dinner treat that is lip-smacking good and affordable. Approximately 206 cases of this wine were produced, so get it before it’s gone. Region: Finger Lakes, New York. Other info: ABV 13.5%, RS 20%, grapes frozen post-harvest, cork enclosure. Click here to find this wine. 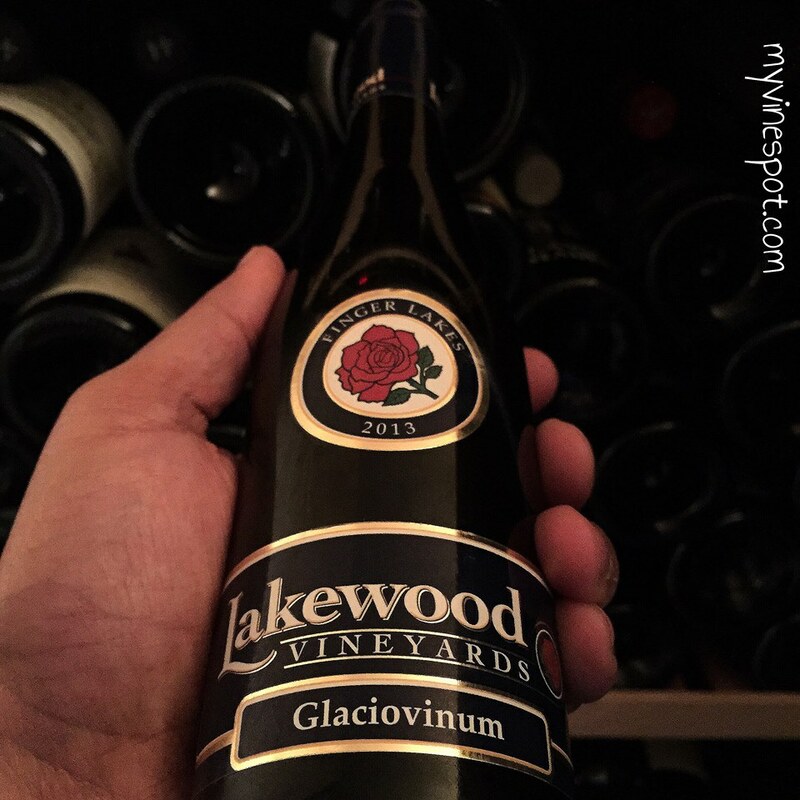 Lakewood Vineyards 2013 Glaciovinum (SRP $14 / 375ml) Finding a solid dessert wine for under $15 can be a difficult task. This liquid treat, made from 100% Delaware, an American hybrid grape variety, is pocket-friendly yet not shy on aroma and flavor. It is quite sweet and scrumptious; showing some richness in the mouth, with tropical fruit, honeysuckle, and candied orchard flavors. I can tell you from personal experience that it pairs well with a tin of butter cookies as well as vanilla pound cake. Overall, this is a very satisfying dessert wine for the money. It also presents an opportunity to experience Delaware; a lesser known grape variety. Approximately 550 cases of this wine were produced. Region: Finger Lakes, New York. Other info: ABV 11.9%, grapes frozen post-harvest, RS 19.2%, cork enclosure. Click here to find this wine. I would like to thank the Finger Lakes Wine Alliance and producers for their time, tweets, and invitation to this enjoyable holiday tasting event. Cheers!